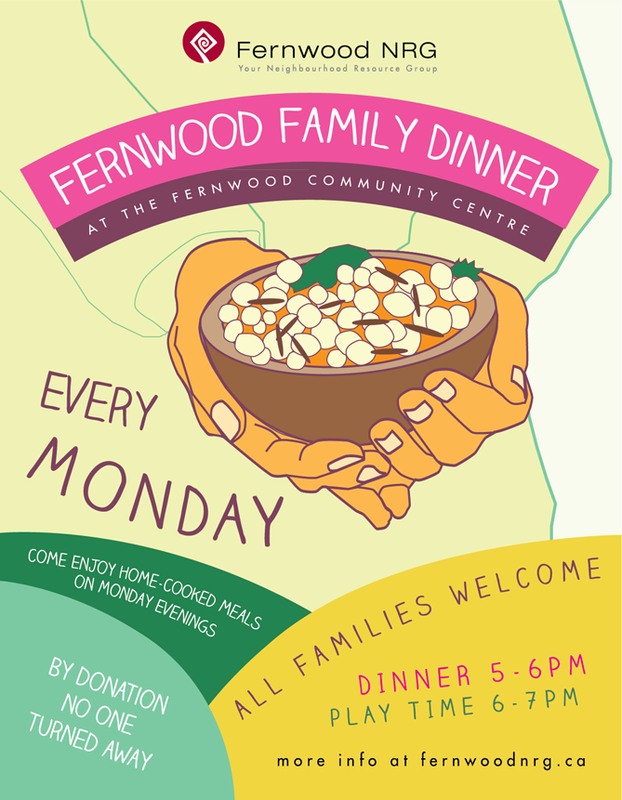 Fernwood Family Dinner is an opportunity for families to enjoy a prepared meal, as a family and with families of the community; followed by a time to play and socialize together. The dinner will provide a healthy meal, ideas for easy meal preparation, access to food resources as well as a social time to bring families together, supporting them in spending quality time together while alleviating the pressure of preparing an affordable meal. Planned play activities will provide opportunities for one-one parent support. Follow us on Facebook to keep up to date with what’s going on at the Fernwood Community Centre.